Enjoy the exclusive soundtrack, videos and more! 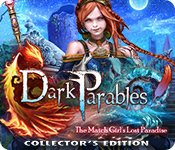 Dark Parables: The Match Girl's Lost Paradise Collector's Edition is rated 3.9 out of 5 by 46. Rated 5 out of 5 by ThornMaiden from Really sweet story! I loved the story for this game. The ending was a little unclear but that didn't take away from the rest of the story. Even if you don't really care about games like this, I'd say this one is worth it. 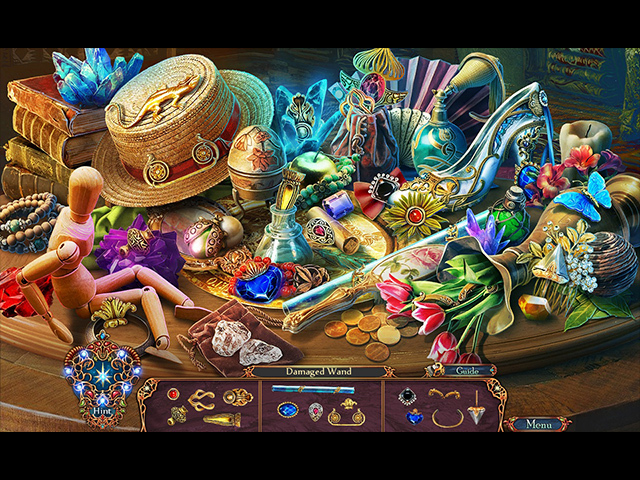 Rated 5 out of 5 by starlite01 from Fun Hidden Object Game I loved this game from the beginning to the end! The graphics and colors are beautiful! The music was appropriate for every scene and quite calming at times, I loved it. There was nothing about this game I didn't like. This is my favorite game so far. I will play this game again. And I am not giving away anything. Buy the game, you will enjoy it!. Rated 5 out of 5 by drcannon55 from Great Game! It's good to have the Dark Parables I know and love back! The graphics are awesome (the colors so crisp and clear), the story line easy to follow. The mini-games were challenging. I have every one in this series. Can't wait for the next one. Rated 5 out of 5 by timothya from A Well-Fractured Fairytale Another "fractured fairytale" in a favorite series! This one involves a twist on one of Hans Christian Anderson's darkest tales and one of my least favorite ones, the Little Match Girl. There are several allusions to the original story, the best of which involves a doll sitting on a park bench surrounded by burnt-out matches that will escape people who've never read the story but tug at those who have. That said, this is an all-new story with the Girl now a magic-wielding villainess of sorts. And at the very end a nod to the original resolution (enough said, no spoilers here). Pros: interesting plot if a bit convoluted. We play as The Detective once more, obviously well-known to several of the various characters, which is pretty amusing. Excellent graphics, smooth game play, a very necessary map. HO scenes are a bit repetitive but nicely laid out. 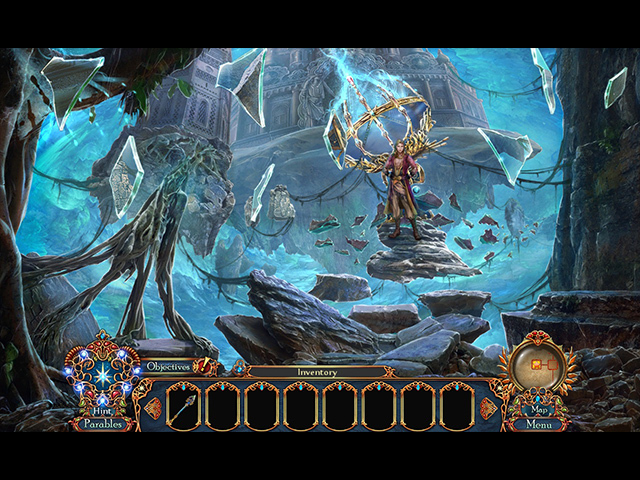 Puzzles are quite good with some original twists, a little on the easy side but with two that require considerable ingenuity to figure out the rules and, unfortunately, with no help on that in sight. Generous amount of game play with chapter markers, including the bonus game. Cons: the Match Girl's voice is one of those awful frequency-pushed adult voices that sounds for all the world like Alvin And The Chipmunks. For heaven's sake, hire youth voice actors! They need work too. Certain of the many interactions between her and The Detective were amusing, some simply painful. Volume control was a little uneven, especially with one of the monsters. Overall, a nice offering in the series with plenty of play. Perhaps a little dark for juvenile players. I loved it. Rated 5 out of 5 by angiegirl666 from Another bright spot to the Parables series! Not going to lie when I saw this game pop up last week I was a little nervous that this game would be a disappointment like Requiem for a Shadow and the Thief and the Tinderbox, however I was very pleasantly surprised to be wrong! Once again the graphics are all Eipix but the storyline is all Blue Tea. This game is definitely ranked among my favorites of the franchise, keep up the work blue tea! Rated 5 out of 5 by acter from I'm just glad Blue Tea is developing these again! This is the second game since Blue Tea took the series back (another reviewer was incorrect in saying this was an EIPIX game) and I am loving the return to the look and feel of the games. I played the beta and had a good time, and have now purchased the full game. Rated 5 out of 5 by LadyAuburn2000 from Love the beauty of the FHOG! Brilliant!! Dark Parables by Blue Tea are my favorite! I own all the games done so far, and will continue to buy the CE as long as they are made! The talent executed by the devs is fenomenal! The beauty of this game is magnificent! The FHOG are executed in such a way and the item it creates is wondrous! A MUST buy!! Rated 5 out of 5 by littleone_17 from Excellent I'd been a little disappointed by a few of the previous Dark Parables games recently. But, this game was wonderful! Good length, with an engaging storyline. Especially if you've played other Dark Parables games. As always the artwork was beautiful and the HOPs, while not difficult were artistic masterpieces. 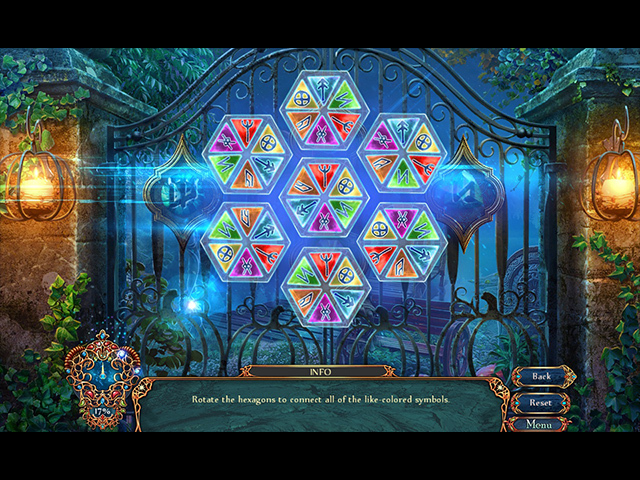 The voiceovers and music fit with the game well, and in several places added to it. Rated 5 out of 5 by GoneFishin86 from Bravo!! Eipix is continuing to let Blue Tea take the reigns and the result has saved this series that is very dear to me. I have played all the games DP series over and over and still have fun with every play and it made me very sad when it started to take a nose dive after game 7. But have no fear Dark Parables is in the process of a triumphant return!! The only issue I have now is where is my teaser at the end of the game for the next addition to this awesome series?